Your company is a culture unto itself. Whether you’re aware of it or not, this culture affects everything from your daily business interactions to your long-term business goals, from your customer experience to your employee satisfaction. It becomes a common frame of reference for your employees. It shapes your relationship with customers, vendors and partners. So how can rich media like video content promote your company’s culture? Here are 5 keys that will help. Video content is highly engaging as a means to showcase your unique qualities, values, and expertise – when done right. The problem is that many companies fail to understand their culture or are unaware of the preconceptions that already influence their customer relationships. Too many companies fall prey to preexisting formulas for video content, mimicking what already exists rather than creating something truly unique to their brand. So how can you stand out from the crowd? How can you create a lasting impression that generates brand awareness and stimulates interest in what you do? With great company videos, you can create a window into the very soul of your organization. …about your goals for the future: “Our success will be measured by ____________.”It’s not just an exercise in talking about what we do – it’s about showing the inside view of who we really are and what motivates us. Reflect on your organization’s personality. How do your customers see you, and how do you see yourself? Video is a powerful way to connect the two perspectives and project confidence about who you really are. On the other hand, when companies fail to understand or value their culture, their messaging will lack focus. As a window into your company’s soul, culture videos can and should pique the interest of your audience. Use them to showcase real people who make your company what it is – then invite viewers to participate in the conversation. 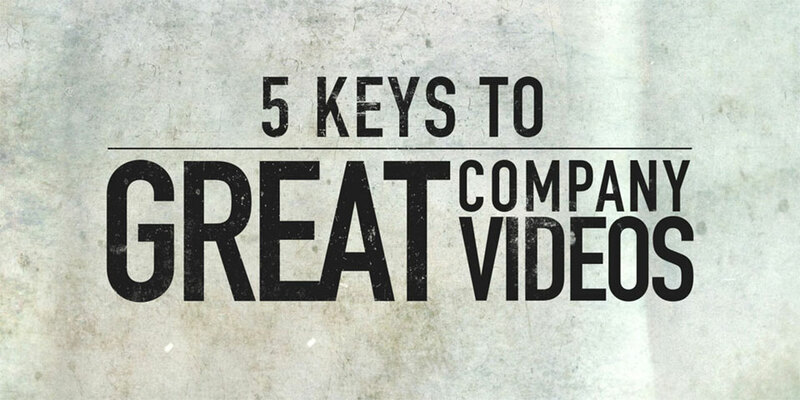 Your video needn’t talk at viewers. Rather, you can create a conversation with them. Take them on a visual journey of your company’s vision, motivation and personality. Do you improve the quality of life for customers? How? Just released a proprietary technology? Showcase it! Do you deserve more business? Prove why! Your culture is a two-way street. Not only do your customers encounter it, they shape it – because they, too, participate in your organization. Many successful campaigns have leveraged customer interaction and perceptions about a brand. (A recent example: Coca-Cola’s “Share A Coke” campaign, featuring customized bottles.) Consider how you might interact with your own community of participants and use video to document the journey. Great cultures evolve from rich history. Regardless of how long your company has existed, its history will provide valuable insights into culture. Consider using video to share your company “origin story” or to identify key milestones that allowed the organization to overcome adversity. Recognize birthdays and employment anniversaries. Share news about awards & certifications. These and other events can develop a deeper connection to your culture – and as a bonus, documenting company history as it happens. Platforms and channels for video content abound. Don’t be shy about your company culture – let it live and breathe throughout your marketing opportunities. Your website, social media channels, and email marketing all benefit from rich media that engages viewers. You don’t need to stop at one video, or put all of your culture eggs in one basket. Instead, include your personality as a natural extension of your ongoing communications and customer interaction. Take an honest look at what’s going on in your market space. This is your chance to do something different and redefine the way people interpret your brand. It’s time to rethink video strategy and tell your story with a unique voice. In the end, you’ll not only have great marketing pieces, but you’ll also develop a thriving company culture that energizes your brand.